Those of you who have followed this website in recent years realize that I take Crazy Daze very seriously. As you know, I undertake a vigorous training regime in preparation. 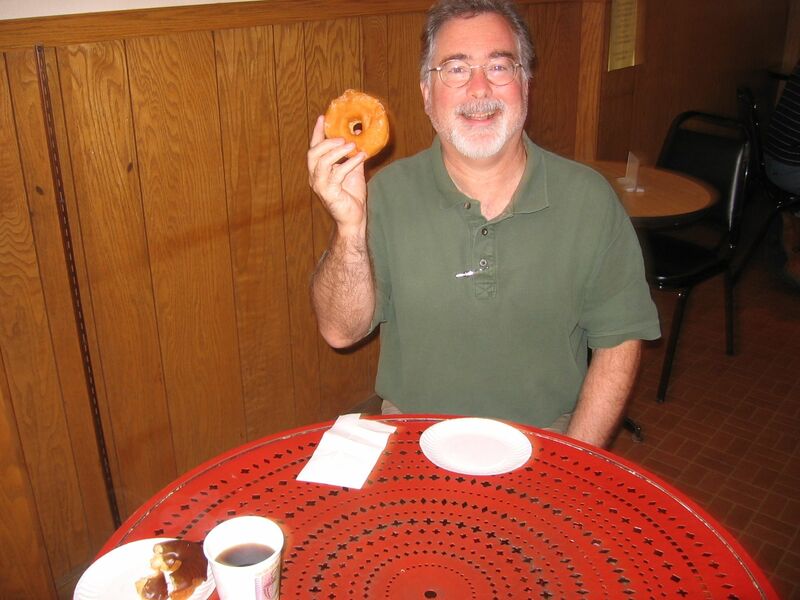 This year has been no different, and we’ve held the weekly NAUREP meetings at the Quality Bakery so that I could combine our Regional Economic Analysis with my Alaskan Doughnut Training. Yeah, Crazy Daze…Alaskan Doughnuts at Quality Bakery. Oh sure, there’s a whole bunch of other stuff too, like City-Wide Bargains and Sidewalk Sales Galore…and, of course, your family, friends, and neighbors, all gathering together in our community for some good times. That’s this Thursday, July 26th, in Downtown Northfield, MN. The Craziness starts at 7:00 a.m.
…and then it gets Tasty. The (rescheduled) Taste of Northfield officially begins at 4:00 p.m. But come on down(town) for some of the Craziness and I’ll bet you’ll find a little Tastiness too…maybe around lunchtime. Oh, and a little later there’s local food, live music, a silent auction, a cash auction, activities for kids, the Sundowners Car Club, and the famous Beer and Wine (Tasting) Tent on the Bridge overlooking the wild and scenic Cannon River.